Project Outcome: A fully functional Airstream trailer optimized for the traveling professional by successfully balancing living and working spaces. This design will be on the market in the next year. 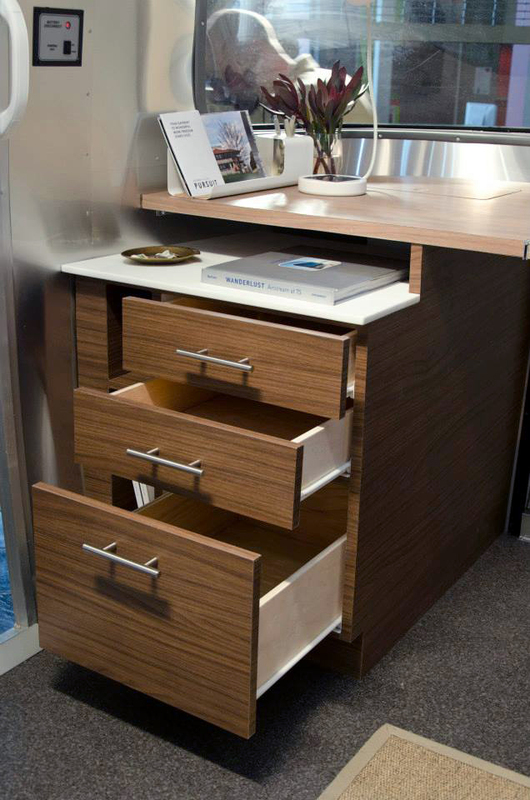 We decided to design a trailer that would accommodate a traveling professional. Our challenge was to gracefully add an office to the already compacted living quarters. 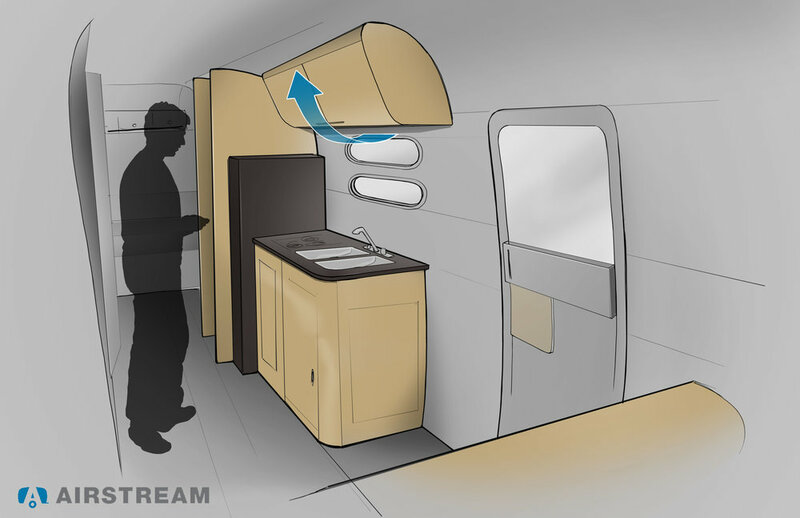 Objective: Design an Airstream trailer that will bring a new, younger market into Airstream's already strong consumer landscape. We began by building a full scale cardboard mock up to experience the interior size. This was a vital step to understanding the livability of such a condensed space, and the implications of taking an inch from the bathroom to add a pantry. Team testing out life size kitchen tables. How small of a table still feels comfortable and fits a dinner spread? 4 teammates and I talked with professionals who work from home to understand what's important for in a home-office space. We learned that the healthiest way to work and live in a small area is to design each space to feel completely different from each other. Airstream supplied an empty aluminum trailer that we filled with our designs. All furniture was custom built by the team over the course of one sleepless month. We used a neutral material theme of wood laminate and white acrylic surface to be compatible with many different bold accent colors. Airstream was very happy with the resulting final trailer and are currently working to bring the design to market. The prototype trailer, named "The Pursuit," is currently traveling nationwide with CCAD as a recruitment tool.